Every day I open up my inbox to questions from parents asking how my children became so fascinated with science, technology, engineering, art, and math also known as STEAM. I personally believe that STEAM is for everyone and everyone falls in love with it at their own time, with their own project. The great thing about STEAM projects is that it is diverse, and numerous projects can be done either at home or at school to spark an interest all you need is some materials and your imagination. Of course, you also need some patience to keep up the hard work as you create! This past summer while searching for some for curriculum for our homeschool, I came across this really exciting company with equally exciting products. After watching videos, and reading through their website I became an instant fan. That company is called littleBits. These snap together sets of electronic building blocks capitalize on a child’s natural love of play and curiosity through invention-based learning so it’s not surprising that we love littleBits’ new STEAM Student Set as it is perfect for traditional school and of course homeschool. Unlike previous sets that have been designed for the home market, the STEAM Student Set is designed for education. 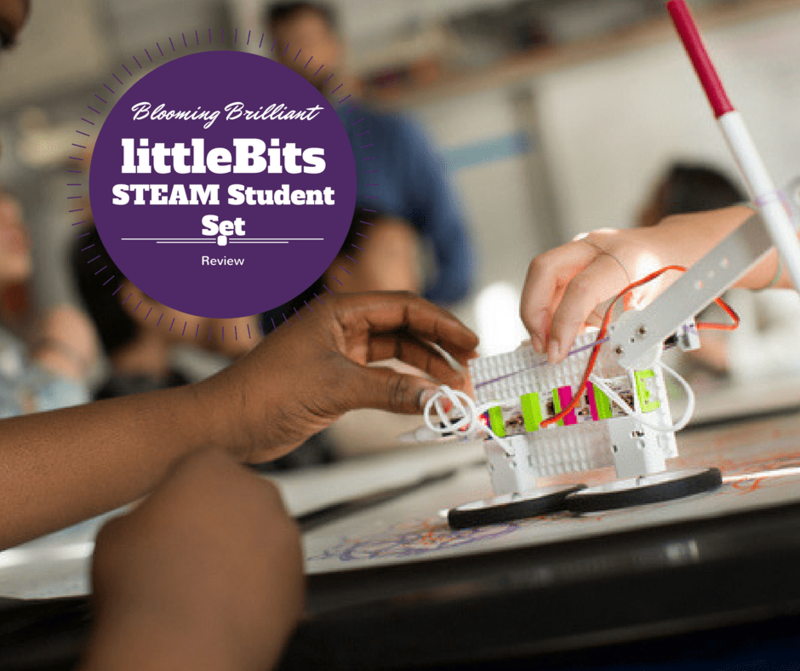 With over 12,000 educators and 2,200 schools using littleBits, the company designed the STEAM Student Set so that any educator, whether they have prior technical skills or not, could bring STEAM into their classroom in a fun and engaging way. 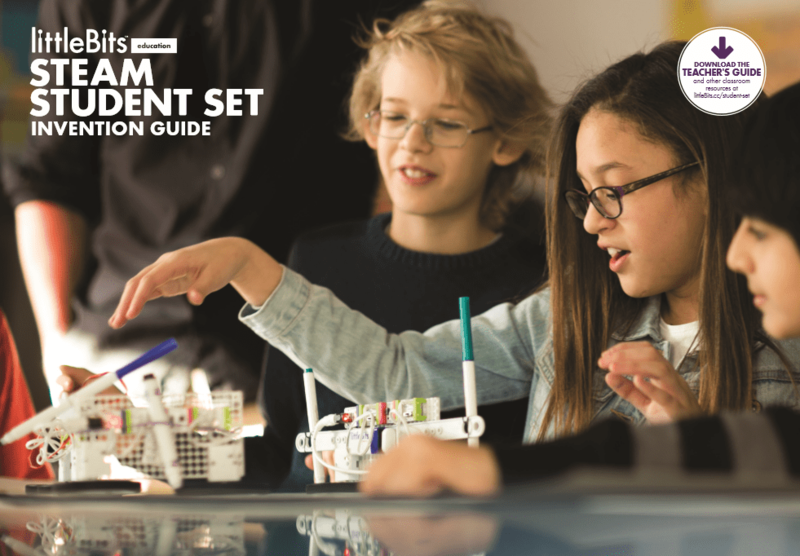 The STEAM Student Set helps teachers address some of the challenges that educators and administrators face when trying to integrate STEAM-focused national initiatives into their classrooms. The STEAM Student Set is a toolbox which supports learners in grades 3-8 with 19 Bits (a.k.a. littleBits’ electronic building blocks) and 38 accessories including mounting boards, wheels, and attachments to bring buzzing, blinking and creative inventions to life.These make for a lot of different project possibilities and will complement other littleBits sets you might already have very well. 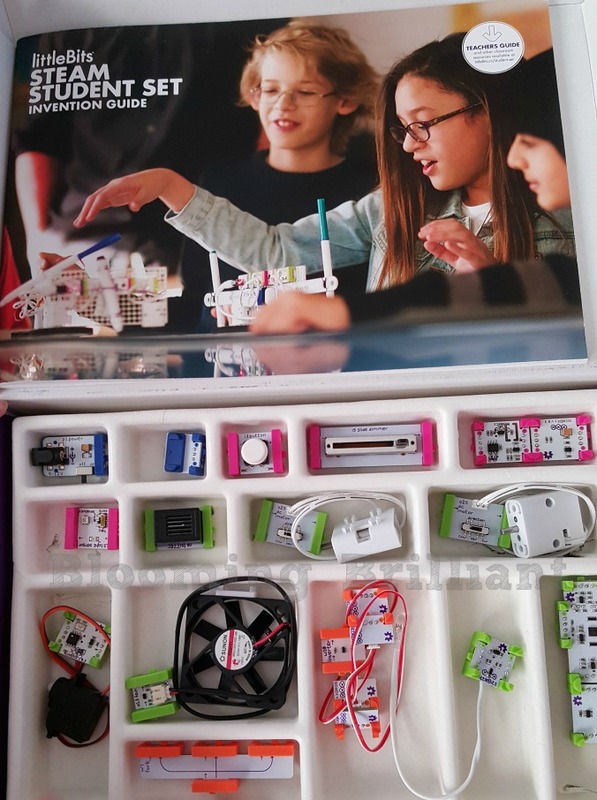 LittleBits’ STEAM Student Set comes with an amazing Teacher’s Guide which you can check out for FREE! It is wonderfully designed and provides hours of detailed companion lessons, curricular connections, implementation strategies, and helpful tips, while a mobile app provides thousands of more ideas for the classroom for built-in professional development so teachers can get inventing with students and keep inspiring them to create by appropriately scaffolding their learning with projects that will help them build on their skills. 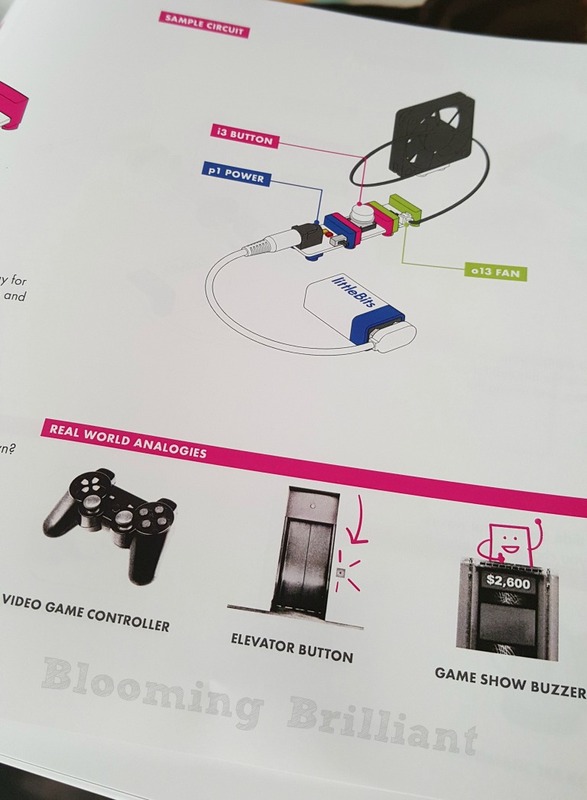 LittleBits’ STEAM Student Set goes a step further with their equally amazing Student Invention Guide which you can also check out for FREE! This easy to follow invention guide gives students knowledge about each of the pieces and four step by step guided invention challenges. I love that the set includes all of the bits and accessories needed to create them. If you are using this in your homeschool most likely one set should be perfect. LittleBits STEAM Student Set is recommended that 1-4 students, projects were easy to complete and a lot of fun, and leave a great amount of space to explore. Check out entire YouTube playlist devoted to projects that use the Bits from the STEAM Student Set. 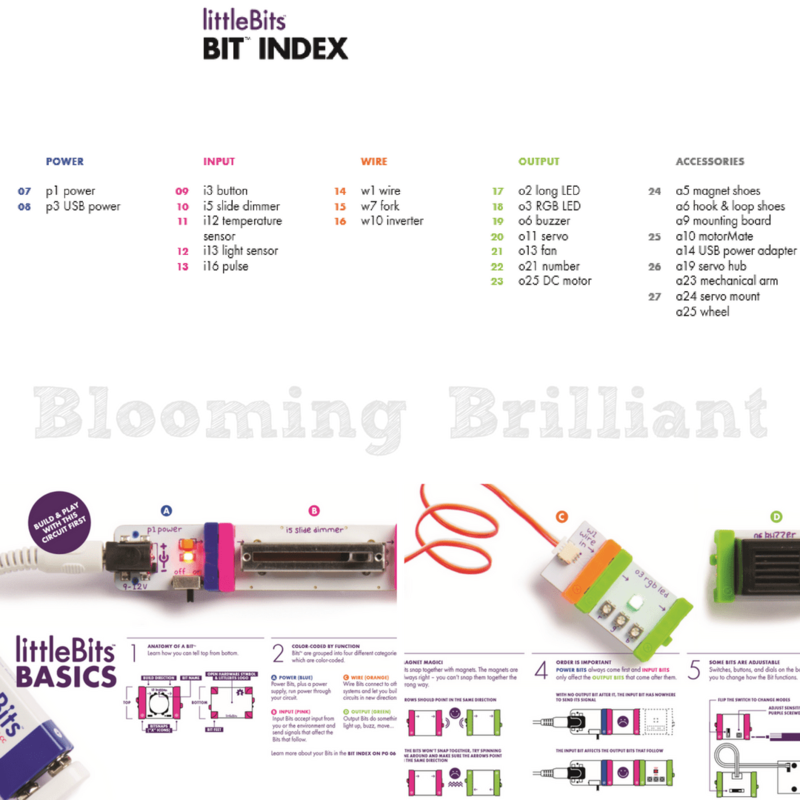 The littleBits Basics & Bit Index is a wonderful addition to the Student Inventors Guide. It gives great detail to how littleBits work. Including the definition of each different color bit found in the collection and how the order of the bits matter. The bit index is a fantastic addition. It takes a look at each of the bits in the kit, explains how they work, shows an example mini-project that lets you see it in action. One aspect that I love that littleBits included is real life analogies of where you would see this bit in your everyday life which is so important for students to see. 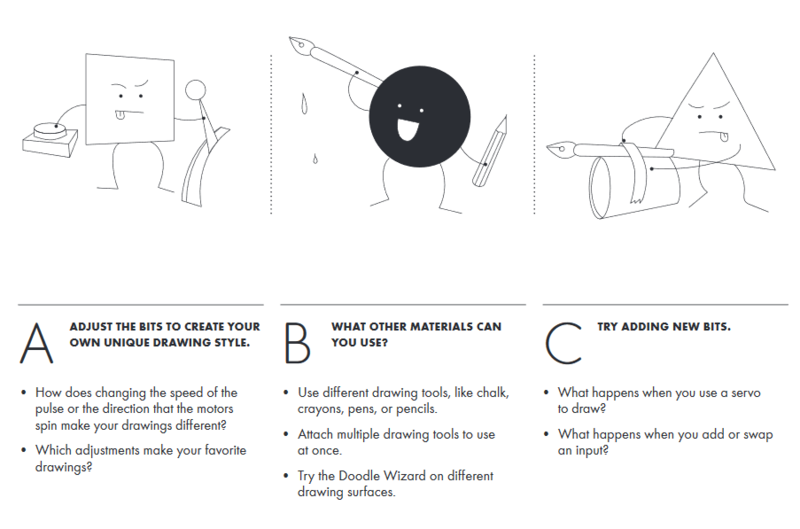 The littleBits Invention cycle is a great insight into the design process. 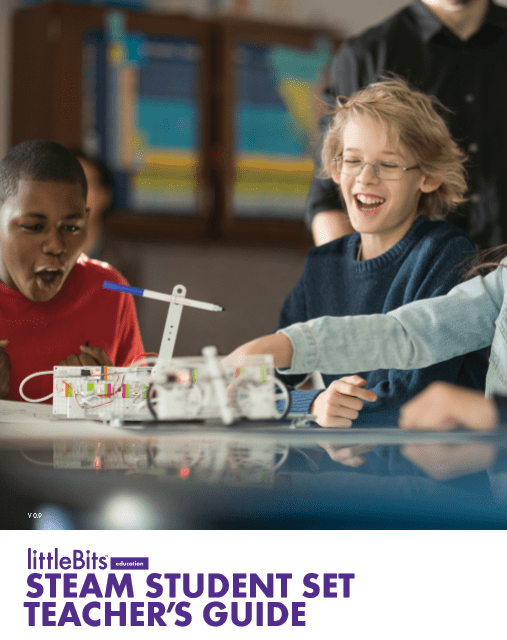 The littleBits program encourages students t0 create something, play with their inventions, tweak it, collaborate and share it. 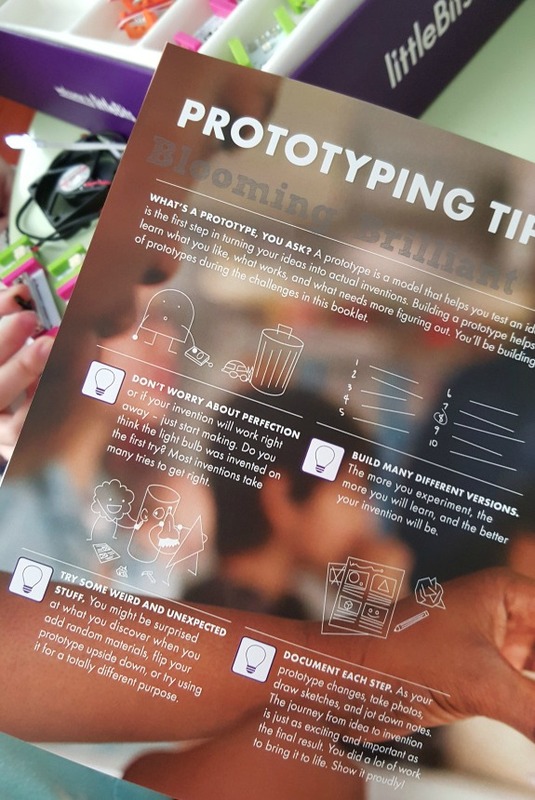 The Prototyping tips section has similar tips I have shared with my daughter when she plays with other STEAM products, such as don’t worry about making it perfect, especially the first time. Pay attention and write down the steps you take, create different versions. But of course, they do all this with their cute graphics and have much more influence than I do. Finding fun, high-quality products that have inspired my children to explore STEAM has been so exciting that I couldn’t help but share our overall thoughts on this product. 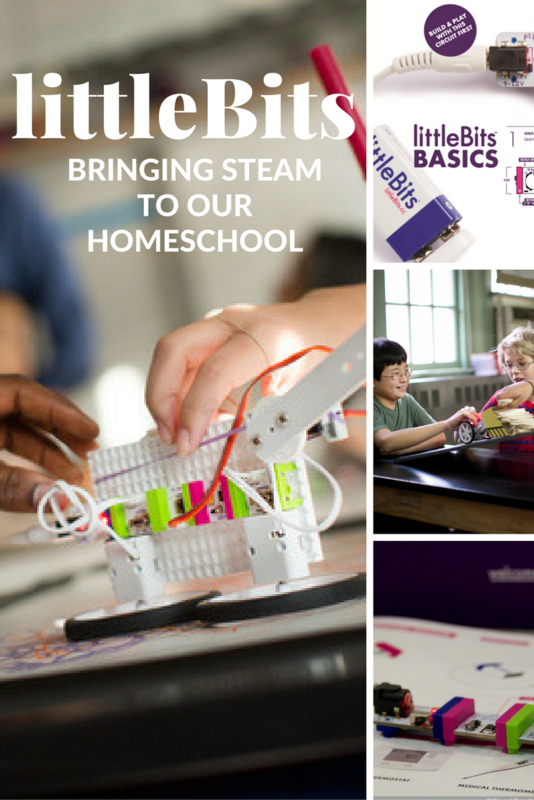 If you want to enhance STEAM in your homeschool or classroom make sure you check out littleBits’ you will not regret a single moment of it. Are your kids interested in STEM or STEAM? What are some things you do to support their interest in STEAM in your after school or homeschool? Have you heard of littleBits’ before? Would you be interested in using any of littleBits’ amazing products? Let us know in the comments below. This looks like an awesome kit!